Good in Good jacket. 8vo-over 7¾"-9¾" tall. viii-lviii; 1283pp; pictorial d/j faded at spine (blue); private library label to fep. ; minor edgewear. Very Good. 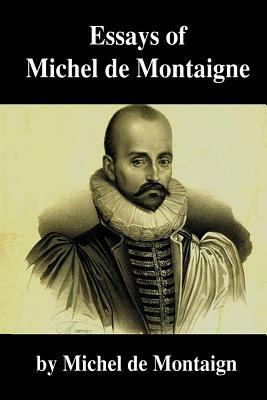 Essays Of Michel de Montaigne by de Montaigne, Michel, 2007-02-09. Trade paperback (US). Glued binding. 356 p. Contains: Illustrations, black & white. Cream buckram faintly marked with very slightly foxed, otherwise very good. A handsome set. 8vo. pp xvi, 375; 522; 408. Original publisher's cream buckram, lettered gilt at the spines. New. Trade paperback (US). Glued binding. Contains: Illustrations, black & white. New. Trade paperback (US). Glued binding. 244 p. Contains: Illustrations, black & white.